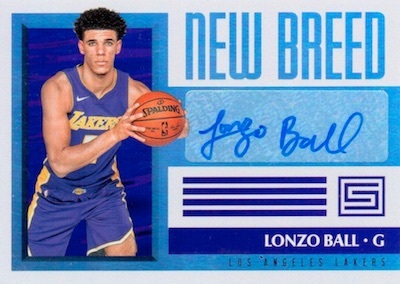 Relying on a primary design filled with many background colors and shapes, and a more affordable price point, 2017-18 Panini Status Basketball enters the NBA card mix with one signed card in every hobby box. The unique base design features Status, Aspirations, and Kaleido (1/1) parallels. Although not numbered, die-cut Pursuit versions are quite rare as a case hit. 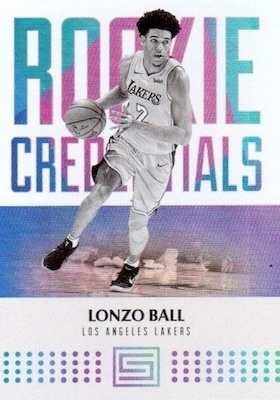 This base set includes coverage for both rookies (one per pack) and veterans in the 2017-18 Panini Status Basketball checklist. 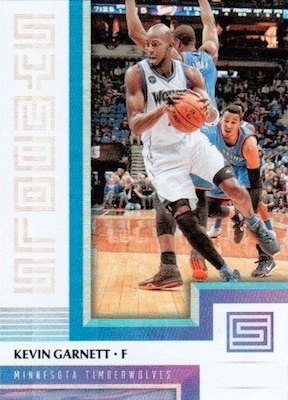 In addition, inserts and parallels combine to average one in each pack. 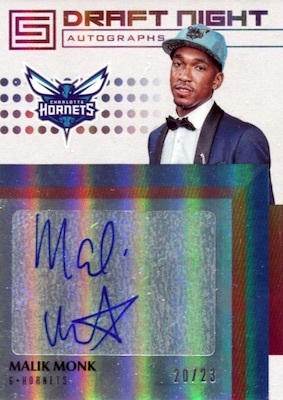 Largely centered around the 2017 NBA Draft class, the autographs in 2017-18 Panini Status Basketball come one per box. Themed rookie sets include Freshman Signatures, Draft Night Autograph Inscriptions and New Breed. 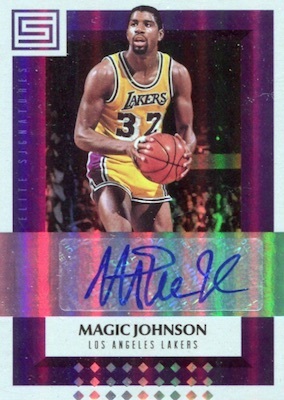 For current and retired stars like Kobe Bryant and Kevin Durant, collectors can look forward to Elite Signatures and Legendary Signatures. 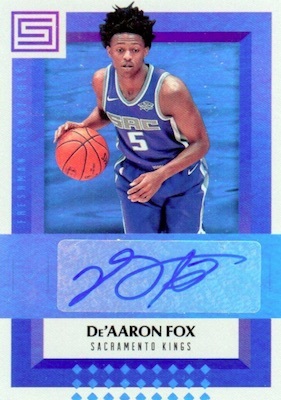 Among the memorabilia cards available, Draft Night Hat catches up with the top rookies at the very start of their NBA career. It also contains a piece of the hat they were wearing at the NBA Draft. PARALLEL CARDS: Aqua, Foundations, Orange, Pursuit (case hit), Red #/299, Blue #/199, Purple #/149, Green #/75, Gold #/10, Kaleido 1/1. 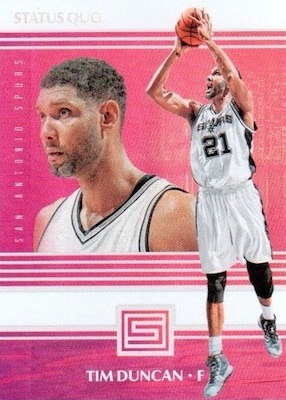 PARALLEL CARDS: Pink #/25, Gold #/10. PARALLEL CARDS: Red #/299, Blue #/199, Purple #/149, Gold #/10. PARALLEL CARDS: Pink #/149, Gold #/10. PARALLEL CARDS: Pink #/99 or #/25 (No Frazier*), Gold #/10. 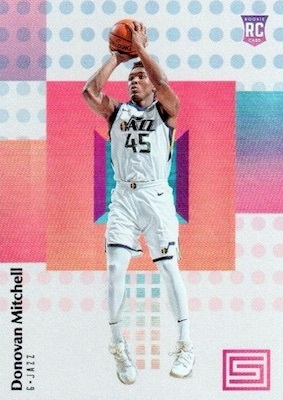 View the 2017-18 Panini Status Basketball checklist spreadsheet. I kinda dig the old school Sky Box vibe. If this is cheap enough I think ill grab some. It is a very average product and one we have come to expect from Panini .. got one sticker auto in the box and 3 #’d to /199 parallel’s. Very thin stock, reminds me of NBA Hoops. Liked the vibrant glossy design. Photos used were good action shots. Not a lot of inserts to chase, which makes it easier to set. Only gave a four star since all the autos would have been better on card. 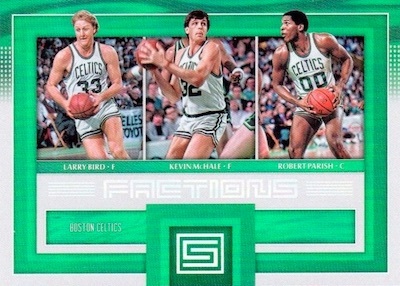 Also would been better if the rookie credentials were in color. 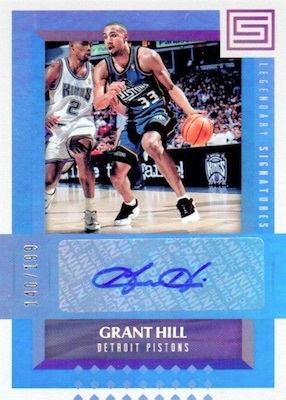 Overall a better release than some panini’s recent ones.